When your sheep are starving, you will feed them old twine, your family Bible, the shirt off your back, anything, because without sheep there is nothing. Of course, most Icelanders are no longer intimate with sheep. For them, they hay thing has been updated, all modern and tip top. 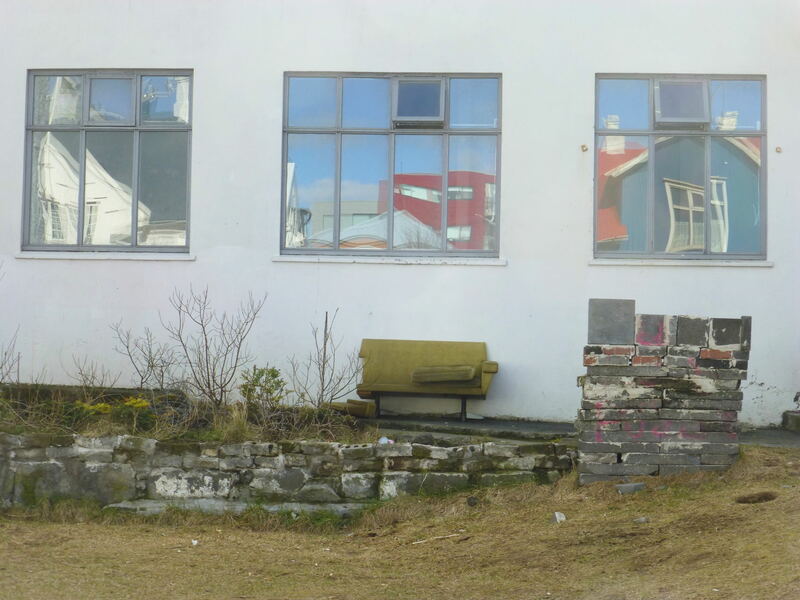 In Reykjavik, anything, anything, even an old couch or an old barbecue made out of paving bricks, is a window. But, of course, that’s the beauty of it. This entry was posted in Architecture and tagged architecture, Icelandic proverb, Reykjavik, windows on May 10, 2018 by Harold Rhenisch.